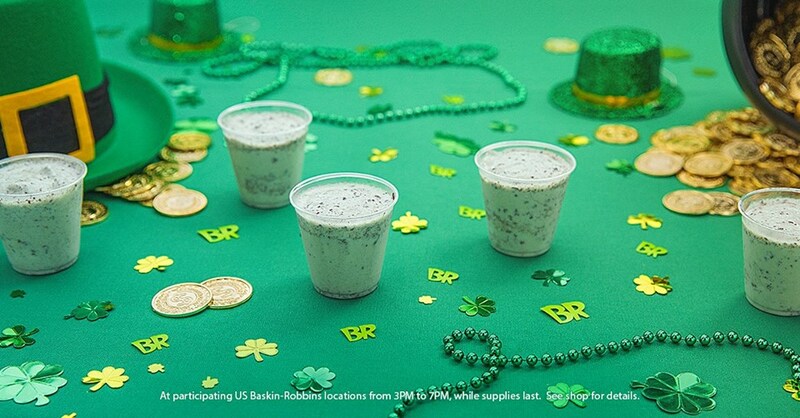 Come celebrate St Patrick’s Day with us and get a FREE sample of our Mint Chip ‘n OREO®️ Cookie Milkshake on Saturday, March 17th from 3PM – 7PM. Then, order your own milkshake creation by combining your favorite Baskin-Robbins flavors. At participating US Baskin-Robbins locations from 3PM – 7PM, while supplies last. No user commented in " Milkshake Free Sample Day at Baskin-Robbins "